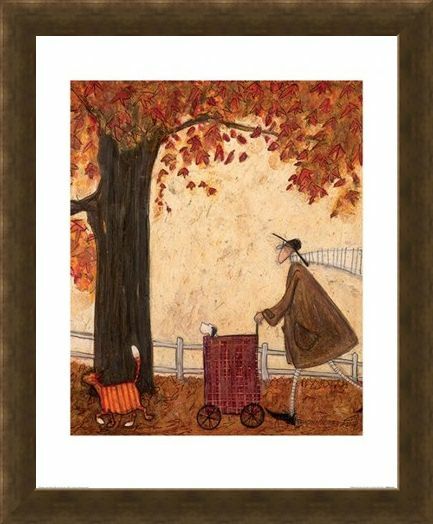 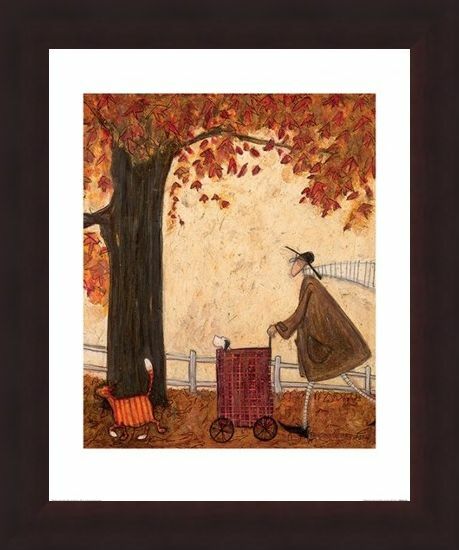 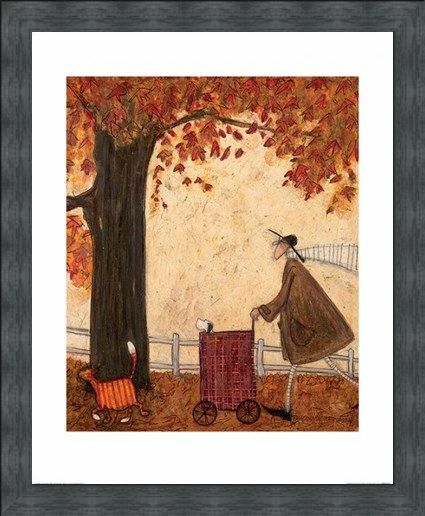 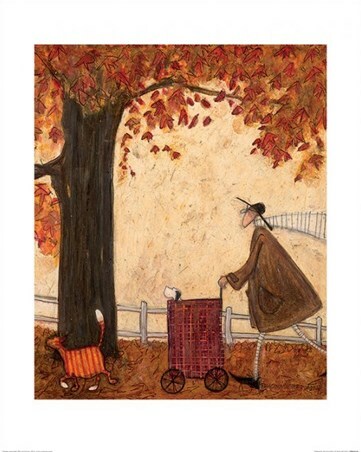 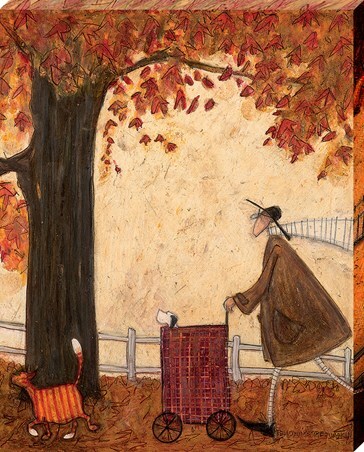 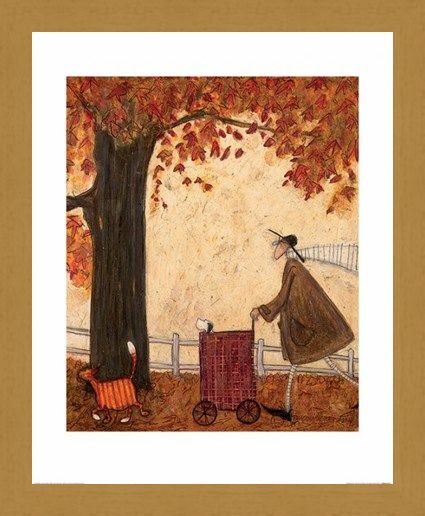 Art Print: This adorable, autumn inspired print will make a wonderful addition to any Sam Toft collection. Featuring some of the artist's iconic characters including Mr Ernest Hemingway Mustard, Doris the portly Jack Russell and a new addition Pumpkin Pie the cat, this whimsical image shows the trio as they take a walk amongst the burnt orange and red leaves which have fallen to the ground. 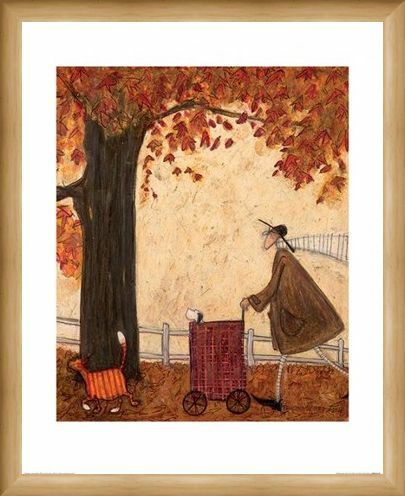 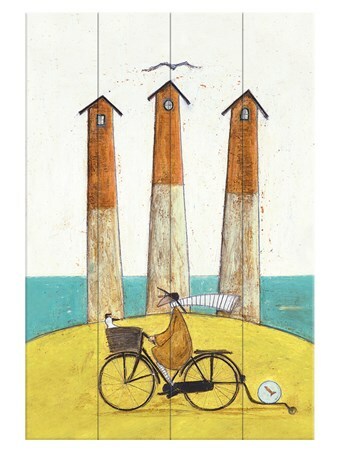 Perfect for adding a little warmth to any room in your home, this lovely Sam Toft print is sure to make an eye catching focal point on your wall. 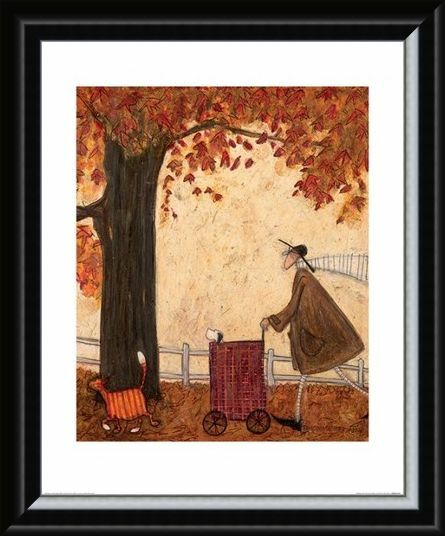 High quality, framed Following The Pumpkin, Sam Toft print with a bespoke frame by our custom framing service.